Providing transportation to Hungarian Wine Regions. Taxi, Bus, Limousine Service. In Rome it was Tokaji wine, which filled the Pope’s chalice during Mass. The kings of Poland always celebrated with a glass of Tokaji, and the Russian tsars toasted their foreigh dignitaries with wines from the Tokaj region. The Tokaji aszu, “the king of wines, the wine of kings” has made the town one of the best-known in Hungary. Tokaj stands on the hill where the second biggest river in Hungary, the Tisza meets the small, fast twisted river, the Bodrog. Its nature is so beautiful and colorful. Moreover, the town offers to the visitors the beautiful Rakoczi-Dessewffy Palace (built in the 18th century), which besides that during the year is used as a students hostel, every summer hosts also the Tokaj Writers’ Workshop. The cellars, restaurants and the guesthouses offer excellent cuisine as well as excellent wines. On the bank of the Tisza river there are plenty opportunities to go boating, fishing or camping. Every summer pleasure boats take passengers on day or half-day trips along the two rivers- the Bodrog and the Tisza. Eger is the biggest town and the cultural and economic center of the region. The town's glorious history goes back to more than a thousand years. Its precious historic buildings and many famous sights make it one of the most beautiful Baroque style towns in Hungary. Eger is usually referred to as an historic town, but it is also called the 'town of wine and grape', 'town of the Baroque period', 'town of mineral and thermal water', and also 'town of students'. Eger and its environs constitute a famous historic vine-district. The people in the area have been producing wine and grape for more than a hundred years. Excellent wines such as Egri Bikavér ('Bull's Blood'), Egri Leányka ('Maiden of Eger') and Medina have been cultivated by them. The oldest wine cellars may be 400 years old, but new cellars are being made even today. The medicinal waters of the region were known as early as the 15th century. Several public baths were built during the days of Turkish rule in Hungary (16th and 17th centuries). One of these hammams called Turkish Bath (built by Arnaut Bashaw) is located in a beautiful park where protected trees and other plants grow. The Bath has 6 pools, each is of a different size and containing a different type of thermal water. Besides the historic monuments and famous sights of Eger the town has a series of programs recurring in each year including open-air performances, concerts, and folk and modern dance perfomances. You can find vineyards all over the shores of the Lake Balaton. 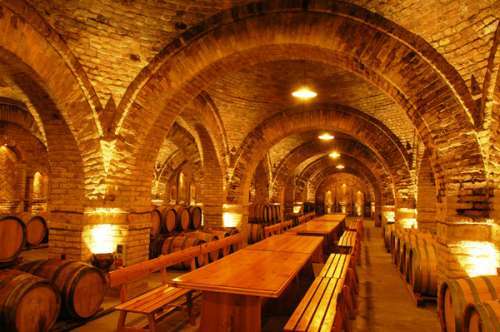 The grapes were originally brought to the region by both the Romans and the French monks who founded Somogyvar Abbey. The vine-growth and winetery went on very well, but the one and a half century of Turkish occupation brought an end to the flourishing wine trade. 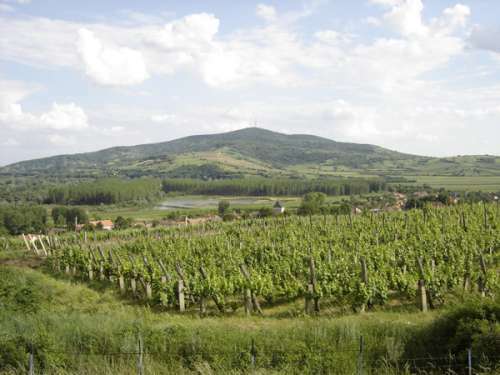 The vineyards planted during the 20th century have been such a success that today the Balaton region is considered to be one of the finest in Hungary. On the volcanic soils of the northern shores of the lake the grapes tend to be white, although you will also find some grapes used to make the more popular red wines. The most popular grapes in the Csopak-Balatonfured region are the Fured Riesling and the Cabernet Sauvignon. Merlot is popular in the Tihany region, while the most famous wine in the Badacsony is Szurkebarat. 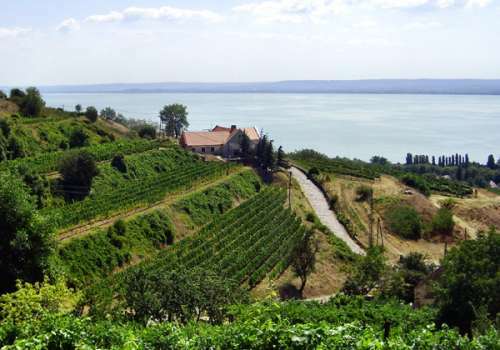 The wine area on the southern banks of Balaton centering on Boglar and Koroshegy concentrates on the grape types required to make light fruity wines and champagnes, such as Irsai Oliver, Chardonnay, Kiraly Leanyka. For the fruity Burgundy-type wines the best grapes are the Kekfrankos, Merlot and Cabernet Sauvignon. According to the legend during the archeological excavations in the Villany region, an acient roman castle was revealed and on its altar a crock found which should have been used for wine storage. 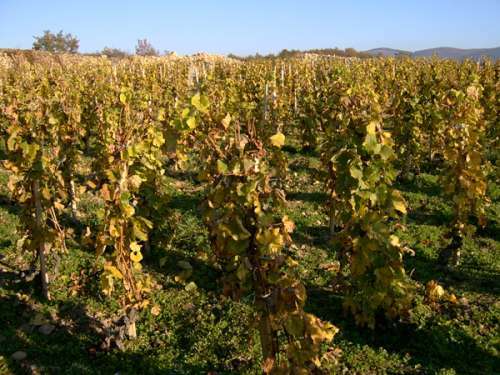 This shows that here, in this region the wine-culture exists for more than two thousand years. This tradition was carried on for centuries. The most famous types of vines were brought here by the german settlers. In 1987 the international jury priced the city with the award „The town of wine“. On every corner of the town you can find boards showing where you can taste and/or buy the different kinds of wines. The high quality is looked after by the Borut Egyesulet (Wine Association). It is worth staying there for more days- in one of the several cute pensions. But at least don’t forget to visit one of the four really nice restaurants! The main program of the year is the Villany Red-wine Festival which is organised always on the first weekend of October. The feast lasts for three days, yearly approximately 15 thousand people visit the town at that time. The other well-known program is the European Convivial Song Festival, where there are competitors performing songs from all over Europe.